VR kiwi (Virtual Reality kiwi Ltd) is a Virtual Reality Hardware and Software company based in Wellington, Aotearoa (New Zealand). The kiwi is a bird that resides in Aotearoa (The Land of the Long White Cloud), generally known as New Zealand, or Middle Earth to others. The kiwi’s wings don’t allow it to fly, instead the kiwi gets around on its feet. kiwi is a term often used to describe a New Zealander and is a recognised symbol of our country. The Maori (New Zealand’s indigenous people) word “kiwi” is generally accepted to mean “of imitative origin”, so with the founder’s origins, and with what the first product does, kiwi is very apt! 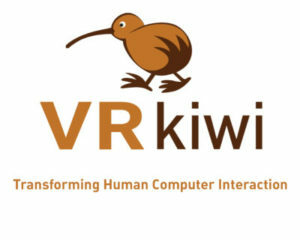 What is VR kiwi all about? Exciting stuff! The founder has developed hardware that allows a person to physically walk and run within a Virtual Reality environment. You stand on it, put on a headset (Oculus Rift, HTC Vive, even your smart phone, etc.,) and start walking and running about… naturally… just as you do in real life. No more worries about hitting a wall, tripping over cables, or running out of space. No bothersome physical restraints. Pretty safe really, and lots of fun. So basically the Missing Link for a Fully Immersive Virtual Reality Experience? Is there anything else like it out on the market? To sum up using kiwi terminology, “yeah, nah”. Sounds fun, but what does it mean to me the user? It is just like walking and running, naturally, as you do in everyday life. You can walk and run at your own pace. No physical restraint to hamper your physical experience. So those pesky cables that most of the headsets come with, you can still use these headsets and as for tripping over those cables or running into walls, well these are no longer problems. There are a couple of stop functions built in. And should you feel like holding on to a hand rail, it is non-intrusive at arms height and right there should you need it. As you become more at ease, you probably won’t need it, but it is there, it won’t restrict or hamper your experience. How much space does it require? How many people on each one? One user at a time. So how would I go about getting my hands on one of these? Well… being new and starting out, new technology usually starts in the commercial sectors, so consideration is being given to starting with museums, gyms and the like – this product is well suited for these markets. But you never know where these things go and how fast things happen, meaning things can happen quite quickly. If you think your business would be a good fit for this first product, and would like to chat, the contact page is a good start. Where can I go to try this out? There is nothing publicly available at present. But to the right persons private show casing is available (use the contact page). So what about types of content? This product is a really good fit for VR (Virtual Reality) and (AV) Augmented Virtuality type experiences, that includes MR (Mixed Reality), Video and similar technology. VR kiwi can have custom made content to meet your needs and wants. VR kiwi has relationships with some of the best upcoming Interactive, Video, 3D and Virtual Reality studios. To be really clear about content that is suited to this product – not so much Augmented Reality, which is digital objects overlaid onto the real world, but rather full immersion into digital and/or video worlds, so the remainder, the xRealities. I am a content creator, I would be really interested in getting my content paired with your hardware, what should I do? There are a couple of companies VR kiwi is partnering with, we may be looking for more in the near future. As a start-up we are looking to take things slow, but you should at least follow twitter or the facebook page and there is always the contact page. Our initial content has been built on Unity and running on Android (Oculus and VR capable Smartphones). There has been discussion and builds on other brand headsets, it depends on what your customers needs are. It is really all about giving the user a rich graphical immersive experience. I can’t say more than that at this stage, suffice to say that there will be a lot more room and need for content creators on this (and the next) product. I’m a newbie, what do you mean by content? Content is the visual…, the graphics that you see and interact within. Like a game. Content can also be referred to as the Experience. Content can be created from digital or video, and a combination of both. Yes it includes the audio aspect. Oh cool, so what type of content is there? Well anything you want really… it can be past, present, future and fantasy, it is really only limited by imagination. As we are just starting out, our initial content has been built on Unity – which is suitable for Mobile VR and the VR headsets. VR kiwi can provide purpose built content.